This campaign has concluded, but if you would like to still support this project, please click here. About 66 million years ago, a juvenile female T. rex lived near what is now Jordan, Montana. From the healed scars on her bones, we know she had fights with other animals and survived. When this T. rex died on the floodplain of a river, its skeleton came apart, its bones dispersed, and they were buried and fossilized. 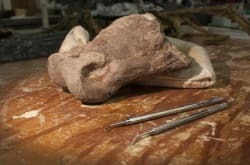 For three years, KU paleontologists, students and volunteers have been digging out the fossilized remains of this T. rex, and bringing the fossils home to KU. In June 2017, we want to send them back for more. Join team T. rex for KU: support the expedition to discover more of this fossil and bring it home to the KU Natural History Museum. This is your chance to say that you helped send a paleontology team from KU to Montana to collect a Tyrannosaurus rex — and bring it home to the KU Natural History Museum. Did you know that Barnum Brown, the paleontologist credited with discovering a T. rex in the Hell Creek formation in the 1800s, was a KU alumnus? Help send a team of KU scientists and students to follow in his footsteps. Paleontology is often putting together the pieces of a puzzle. Help us chip away at this puzzle and bring home more of this amazing fossil. Imagine being a KU student who gets to go to Montana to bring back parts of a T. rex. Your gift will give students a field experience of excavating and preparing fossil material that they won’t forget. This year, we will hire a backhoe operator to remove more of top of the hill at our dig site, down to the fossil layer. 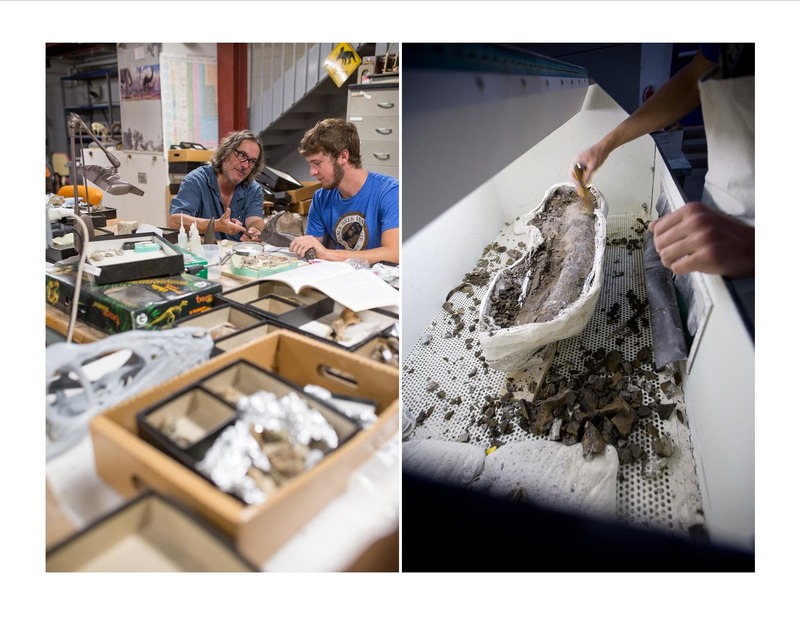 Help us dig deeper and bring the T. rex fossil back to KU.